While I have tended generally to avoid commentaries (in favor of lexicons and direct work in the text itself), I acknowledge that there are some really worthwhile commentaries.¹ The Logos/Faithlife company, in the course of advertising for its products (which it does with vigor and annoying regularity), recently shared this post that discusses the use of commentaries. The current Logos software can access millions of indexed commentary entries on Greek and Hebrew words and phrases, all linked to specific scripture texts. That is an impressive capability! And the blog author’s point is well taken: commentaries, as compared to lexicons, aim to analyze meaning of a word or phrase in biblical context. Contextual considerations do appear in lexicons, but not as explicitly, or at least not in the same way. The other main disagreement concerns the question whether in the phrase dikaiosune theou in 1:17; 3:21, 22 (Cf. 10:3) theou is to be understood as a subjective genitive or as a genitive of origin, or—to put it differently—whether dikaiosune refers to an activity of God or to a status of man resulting from God’s action, righteousness as a gift from God. A second commentary quoted in the Logos post makes reference to similar verbal constructions in Romans (similar to “righteousness of God,” that is)—namely, power of God and gospel of God. Comparing what Paul is saying about power and gospel could be an important consideration in interpreting “dikaiosune theou” (righteousness of’ God) in Romans 1:17—but perhaps not in Galatians 2 and 3, where the other phrases do not appear. ¹ Some of the better ones I’ve used were written by Abraham Malherbe, Raymond Brown, and Ben Witherington. In leading a small group through a Galatians study, I am encountering frustrations. I can categorize these as relating either to (1) my own inadequacies or (2) Paul’s expressions that are difficult to translate. Comparatively, I had little frustration with 1:1-2:14. The problems come with the substance introduced in 2:15 and beyond. Two text scholars I consulted differed over whether to consider 2:15-21 a rhetorical propositio or a partitio. It’s not that the label matters, but if I can determine this passage’s function and purpose within the whole letter, I will interpret better. At this point in my study, I think the passage is less transitional and more stage-setting. Both the propositio and the partitio traditionally involve backward-looking aspects, and those may be present in 2:15-21, but I find this section heavily weighted toward what is to come in the following discourse. Whatever Paul is saying here will be elucidated in chapters 3 and 4, or at least I hope so. The main issue for the last couple of weeks has been interpreting an expression with a notoriously problematic Greek construction:¹ The meaning of this phrase, consisting of the last few words of both 3:2 and 3:5, is something like “by faith’s hearing” or “by the proclamation of faith(fulness).” The deeper one goes in trying to interpret Galatians on the whole, the large this phrase looms. Other, more obscure translations may be better than some of those mentioned above. Was Paul connecting the Spirit of God to the Galatians’ hearing (or heard material) that leads to belief, or to their believing that comes from hearing, or to some other variation? In an attempt to understand this matter, I have jumped through a few hoops and ended up on my face. Additional research might involve careful consideration—in all levels of Galatians context—viz. the words for believing/faith and for hearing the message. Comparisons with similarly themed passages in Romans might eventually be in order, too. A’ we ourselves have also been found sinners, . . . Above, the A and A’ phrases are verbally related, as are B and B’. The C and C’ texts form a central emphasis; an added spotlight shines on the mirroring of “Jesus Christ to “Christ Jesus” in the succeeding phrase. For my exegetical money, the second structure is more convincing, and it’s even more so in the Greek. See color codes below. There are a few inconsistencies above, such as the aqua-colored repetitions and the asymmetry of the “that” clauses. The negative (not) particles’ correspondence is also intriguing but not necessarily material here. The centered emphasis on faith(fulness) is key. If in the C and C’ phrases one takes pistis to refer to the faithfulness of Christ (as opposed to faith in Christ)—and I lean that direction myself—we still have a structure in which those phrases flank the clause “we have believed in Christ Jesus,” which refers to human faith. Permutations and translations aside, the verbal relationships abound. Whether intentional or subconscious or both, it seems obvious that Paul was stressing some things here! At some point, I will have to leave my frustrations with 2:15-3:6 and move on, apprehensively, into all the argument-proving substance of chapters 3 and 4. ¹ The phrase is constructed with a preposition and two successive nouns in the genitive case (ἐξ ἀκοῆς πίστεως | ex akoes pisteos). The genitive case is the most potentially varied of the Greek cases. 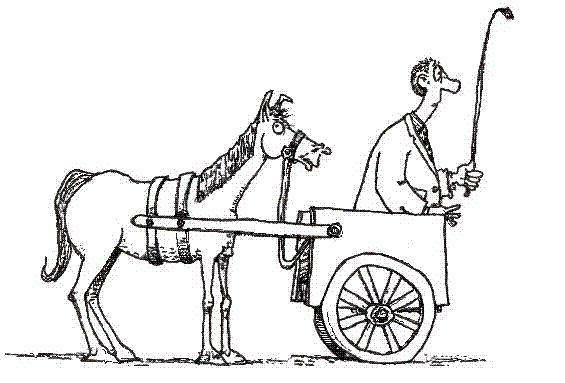 When any believer says something that manifests a low or diminishing interest in that which is written, it concerns me on some level, and it might mean the cart has displaced the horse in some sense. Things get hazy without something relatively objective to rely on. I don’t mean to downplay the aspect of faith that’s unseen. I do mean to emphasize the ancient scriptural texts over philosophical amalgamations we call “theology.” There will be a little more pertaining to the theological “cart” in the next post, but for now, let’s concentrate on the trustworthy steed of scripture. Why might the horse get pushed to the back or even left out in the cold? Why might one denigrate or even disrespect scriptural text? It could be because of negative experiences with the misuse of scripture. That sort of thing could easily lead one to avoid attention to the Bible. On the flip side, some types of positive relational or conceptual experiences, however much they lack direct ties to scripture, can further distance people from what is written. “The love and encouragement I feel in my life is not because of Bible study. It’s because of the people and the Holy Spirit in my life” some might say, as they turn down an opportunity for Bible study. It’s not only touchy-feely folks who avoid good Bible study, though. A whole range of good people often turn up disenchanted. It is primarily to those who want to move away from scripture (having been near it previously, in some measure) that I submit these thoughts. Any one of us, though, can come to distrust the use of the Bible because of misguided understanding or mistaken application. Or maybe we are simply tired. First: In a way, I am one of you. I too find that so much churchy use of scripture results in little more than piles of verses, with little coherence, and even less valid applicability to the life of a disciple. It is often easy to find counter-examples to isolated scripture verses offered as “proofs,” and yet it is tiring to be faced with such situations repeatedly. Unfortunately, some public teachers and theologians tend (consciously or subconsciously) to use scripture in order to serve prefabricated, prejudicial constructs and agendas. It can be disconcerting and discouraging to be trapped within the irresponsible use of scripture. The whole enterprise can bring on personal fatigue. A few examples of my non-contextual experiences may be found here and here and also here, in a sarcastic video I once made in a fit of spiritual perturbation. I’ve had better experiences with the Bible than most, I suppose. I grew up in a Bible-teaching church, and I learned the 10 plagues and the judges and the apostles and the books of the Bible in order. I attended a good Christian camp that encouraged memorization, and I learned portions of Acts 2, 1 Peter 2, and Romans 8, among many others. When I was 19, I got a wide-margin, leather-bound Bible that has oodles of cross-references and ample space to write more. A college teacher lit a fire in me with his relatively shallow but impressive memorized knowledge of verses that appeared to be related to one another. I’m grateful for all of that, but I don’t mourn the loss of the cross-reference habit. I haven’t penned in very many of those in more than a decade. So many of the ones I once wrote turned out to be wispy or even bogus “proofs.” Actually, I must say that some of my best teaching and self-directed learning have come more recently—primarily from outside churches per se. I should still memorize more (not a catechism, or a list of verses about a topic, but scripture). Second: there is a better way. At every reasonable opportunity I have, I encourage focusing on the uninterrupted message of scripture, in its context. The disillusionment with Bible study comes when it is done badly, and that is all too often. But Bible study, I submit from personal experience, can be revealing, rewarding, enriching, energizing, and amazingly applicable. In order to “hear” God through the authors of scripture, the micro-context (e.g., a paragraph) should be noted first, and the mid-level and book-level contexts are also crucial. By “book-level” I mean each unique document titled as one “book” in the Bible, not the whole collection. The Bible is more aptly described as a library, not a single book, anyway. Awareness of each biblical book’s unique setting is important as a foundation for better Bible reading and study. It is good to recognize, for example, that Matthew and Moses speak into vastly different scenarios although they treat some of the same topics. Philippians records Paul’s message to one group of people at a particular time, whereas Galatians is an entirely different letter, to different people, about different matters. For more on the situational nature of (much) scripture, please read this recent post. The insights I am currently gaining from Galatians are very helpful to me as they shed light on the early period (roughly the 40s) when Christianity was still a new movement. My senses of (1) Paul and (2) what was going on with the early Phrygian/Galatian believers have grown deeper through focusing on the literary structure of the letter. Paul’s personal experiences are spotlighted for a purpose, and they may include a couple of veiled references (not just the obvious one) to his eyesight … and I am compelled to mention that my own eyes have filled with tears more than once over this in the last couple of months. Early Christian believers wrote a lot of authentic texts—more than any other religious group of the time—and I think there is a reason for that. (See this post from Dr. Larry Hurtado for support.) The texts have much to teach us, and it is good to be aware of the whole corpus. But it is always advisable to deal with one scripture author and with one text at a time, not considering them as one whole. The fundamentalist-y method of taking all the Bible as one large conglomerate mass of stuff, conflating it as though it is all of equal significance, all written about the same situation, and all using language the same way, will send one irrevocably spiraling downward in a maelstrom of deep but thick theological messiness. First, I think we should take one book at a time, and maybe later, at some point, disciples can compare things here and there, but I’m not sure I’m capable of doing that very well yet. Most preachers in my experience do a marginal (or worse) job of using multiple texts in their spoken messages. Only a few seem able to handle the mixing very well. As for myself, I’d rather learn better how to be responsible with one text at a time. If we had all been taught this way from the get-go, we could have spent more time being disciples of Jesus, and living life in order to love others as He did. As a result, we could have spent less time striving to work through all sorts of issues that really weren’t there, at least to the degree they seemed to be. And some of us would be less tired. I’m increasingly persuaded that most philosophical, existential, and theological ideas create more disagreements than agreements. At the very least, disciples should put the scripture horse up in front to lead the theological cart, not reversing the order. Dealing with one discrete scripture text at a time will offer strengthening of faith based on real evidence, not to mention enhancing insights for the ride along the path. As I study and learn and attempt to teach, I often preserve notes in documents on my hard drive, or within my Logos Bible software, or in my Google Drive “cloud” documents, or in the margins of Bibles and other books. Another part of my process often involves writing on this blog. I started this kind of documenting, I think, back in 2009 during a study of Philemon. It is in this same vein that I share some things I’m presently learning in Galatians. This is the last of three commentary posts that offer miscellaneous textual insights from chapters 1 and 2. (The first two posts are here and here.) Whether I’m on target in this instance or that, I hope other students will be spurred to dig into the text. B I went up again to Jerusalem with Barnabas, taking Titus along with me. C 2 I went up in response to a revelation, remember. A¹ the gospel that I proclaim among the gentiles, in order to make sure that I was not running, or had not run, in vain. Moving from the outside in, the fourteen years (above, A) may be seen as explained or elaborated on by Paul’s activities (in A¹), i.e., time spent among the gentiles, that is, the reader should remember that it was a long time that Paul was in gentile lands and not in Jerusalem. The Greek verb in B is the same as the verb in C. The verb in B¹ is a different word but only by two letters: anethén vs. anethebén, but the similarity might not be significant since there are quite a few words that begin and end with the same letter combinations. The point of emphasis would be in C, which is the 3rd mention of revelation in Galatians, and that is why I’ve added the word “remember,” because the idea seems contextually emphatic. On the matter of revelation/revealing, please see this prior post. I think that essay particularly makes for worthy devotional pondering (even if it’s not great reading undergirded by solid research). so that the truth of the gospel might always remain with you. —those leaders contributed nothing to me. Peter is one of them. The “you (all)” group being addressed with reference to the gospel would be the uncircumcised gentile Galatians. The leaders are presented a bit ironically. In context, the center of the center is probably not so much a dismissive “I don’t even care about them” as a putting-in-proper-perspective of the Jerusalem apostles. Combined with the elusive, idiomatic expression about partiality that has been translated many different ways (see this site), it seems more a matter of saying that Peter and the others had no bearing on what Paul was doing—and, as the Weymouth translation puts the idiom, “God recognizes no external distinctions” after all. That, after all, is one of the principal themes of Galatians, and it will show up in the famous 3:28-29 and, in the specific matter of circumcision as an external distinction. I noticed the above on my own, but I am not very confident about it. On this page (not my own work) the structure is expanded, and the center is the same. 2:14-2:19 appears to employ a chiastic structure; the inner focal point is faith in Jesus Christ (v16). The fact that a chiastic structure might overlap the beginning of what I’ve identified as a transitional passage (2:15-21) might lead one to question whether a section indeed starts in v15. If I had to choose here between rhetorical structure and chiastic structure (and I don’t think I do have to choose), I would tend to prioritize the integrity of the rhetoric. It is also bears mention that if a chiasm spans verses 14-21, it adds weight to the thought that verses 15-21 continue the narration of the dialogue between Paul and Peter. In other words, this structure supports the idea that Paul’s conversation with Peter didn’t stop in v14. 2:19-2:21 may also have a centered, symmetric structure. This chiasm is less convincing to me than in 2:14-19, but if it were intentional, one focal point is that Christ lives in Paul (v20). This insight calls to mind the earlier mentions of Jesus’ having been revealed in Paul (1:12, 1:16). If any of this has whetted your appetite, please see this post on the structure of 1:10. It is also rather technical exegetical work—beyond my qualifications, really—but this kind of thing is loads of fun (really!) to dig into. Finally—and here I mean finally in the sense of summing up the bulk of chapters 1 and 2 for now, but not forever (sort of like Paul’s use of a summation word in Philippians 3:1, right in the middle of his letter)—I want to mention Paul’s eyes and the Damascus Road revelation experience of Acts 9/Gal 1. Taking this up will require a good deal more study of syntax, idioms, grammar, vocabulary, and more, but I am thinking that the infirmity to which Paul refers in Gal 4:12-15 could have been a visible remnant of the revelation and blindness from about 15 years prior (1:12, 1:16). If so, the “marks of Jesus” of Gal 6:17 could refer to the same condition of the eyes—perhaps some scar tissue or red marks or scaly eyelid skin or something. If I’m onto anything at all here, it would tend to heighten the already-high emotional sense of this letter: the nature and content of Paul’s gospel are inextricably associated with the revelation of Jesus Christ to him, and any remaining physical manifestations on his body would have been seen by the Galatians when Paul first preached to them. This reality would make the Galatians’ abandonment of the pure gospel message all the more unexpected, ironic, and tragic from Paul’s point of view (and my own!). How could they abandon the message delivered by one who had so obviously received it directly from Jesus? The above is pretty speculative at this point, and I have loads more study ahead before reaching any sort of conclusion. In a week or three, perhaps I will have some gleanings to share from 2:15-21 (which is substantially transitional, not passively so) and beyond. Each of the five passages mentions geography, and “the divisions among the build ups are confirmed symmetrically by an alternation between action out of Jerusalem and in Jerusalem.”¹ Also, in instances 2, 3, and 4, the time-related word is the same one, whereas the bookends, formed by the first and fifth instances, use a different time word. Taking note of such symmetry—not always apparent in English Bibles, I might add—surely helps to understand Paul’s persuasive rhetoric in the narrative. Below are are a few gleanings that are more on the “micro” level. These will be less proven, and not scholar-reviewed in the slightest, but still intriguing, I think. I thought I might have been onto something in connecting three words used in 1:8/1:9, 2:2, and 2:6, but now I think that was probably a rabbit trail. The root words in question are transliterated anathema, anatithemi, and prosanatithemi. The words are in a cognate group, so they are at least distantly related. These words are not synonyms, but I was thinking the etymological and sonic connections might have played a subconscious role in the construction—that is, that some thread was possibly at work in the background, tying them together. In this case, though, the concept of being cursed or devoted to an outside/pagan purpose (1:8/1:9) does not appear to be related, even at arm’s length, to setting forth or laying out the gospel privately before the influential leaders (2:2) or to (non-)addition to what Paul was preaching (2:6). Ergo,² a rabbit trail. 2:10’s reference to “the poor” could have to do with the well-known Jerusalem collection project referred to in other NT passages; it’s worthy of note that the phrase “the poor” is taken by some as a coded reference to the Jerusalem poor. On the other hand, Gal 2:10 could deal with a general, developing Christian practice of benevolence. Either way, Paul mentions it by way of a defense of his place in the scheme: not even this was a requirement added to his missionary operations, i.e., he was already helping the poor, and those thought to have clout in Jerusalem weren’t requiring it. It is good for a reader-interpreter to be aware of various levels of context when trying to understand engaged in interpreting possibly ambiguous passages. 2:10 may well refer to Jerusalem benevolence, or Galatia benevolence, or both; in any case, efforts to interpret should deal in some measure with the immediate context, in which Paul makes his apostolic case and relates his work to that of the Jerusalem apostles. I’ve decided to extend these comments on chapters 1 and 2 in a third post. Please look for that in a day or two. 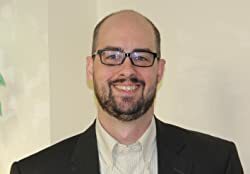 ¹ H. Van Dyke Parunak, “Dimensions of Discourse Structure: A Multidimensional Analysis of the Components and Transitions of Paul’s Epistle to the Galatians,” 225. In Linguistics and New Testament Interpretation: Essays on Discourse Analysis. David Alan Black, editor. Broadman, 1992. ² Incidentally, “ergo” apparently is not derived from the Greek ἔργον | ergon—a labor, work, deed, or action. https://www.merriam-webster.com/dictionary/ergo. In preparing for our small group study of Galatians during the past few weeks, I’ve come upon several interesting textual features within chapters 1 and 2. Some are micro-level matters (e.g., vocabulary and grammar), whereas some relate to the overall form of the document. I’ll briefly take up one of the latter kind in this post. The next section is narrative (or narratio, in Greek/Latin rhetorical terms), and Paul’s story line continues through most or all of chapter 2. My opinion at this juncture is that the narrative extends through 2:21, that is, that the Paul’s words in 2:15-21 are presented as part of the conversation he had with Peter. Given that there were no quotation marks in the original manuscript, the answer to this question must be based on such disciplines as exegesis, discourse analysis, form criticism, and rhetorical analysis. Whether or not another reader believes 2:15-21 was spoken to Peter or not, it is interesting to observe that this block of text serves a transitional purpose in the letter. The transitional nature of 2:15-21 sheds considerable light on its syntactical ambivalence. Characteristically, transitions in Biblical literature are ambivalent in their connections with the units that they integrate (Parunak 1982). They engage the reader in the new material before the old has been fully left behind. It is completely in keeping with this pattern that Paul’s words to Peter at the end of one major section should anticipate the burden of the next section. Such a scheme, while awkward to describe syntactically, is extremely effective pragmatically. Our subsequent analysis of the paragraph will show in more detail just how it moves readers from Paul’s first major point to his second, and so maintains the integrity of the arguments. – H. Van Dyke Parunak, “Dimensions of Discourse Structure: A Multidimensional Analysis of the Components and Transitions of Paul’s Epistle to the Galatians,” in Linguistics and New Testament Interpretation: Essays on Discourse Analysis. David Alan Black, editor. Broadman, 1992. I share the above as solid and trustworthy; it comes from an individual with a PhD in Near Eastern Languages and Civilizations, master’s degrees in archaeology, computer and communication systems, and other degrees. Not that I couldn’t be convinced of additional or alternate views of 2:15-21 down the road, but my own reading at this point is corroborated by what Parunak has said. Next, I’ll plan to share a few micro-gleanings that are less proven, more investigatory. . . . Consider the letter from Paul to the Galatians. Its authenticity is not in question: theistic, agnostic, and atheistic scholars all accept that this letter was written by Paul to a people group in the Galatian/Phrygian region, which is now part of Turkey. A large but not overwhelming number of text scholars favor an early authorship date of ~48CE, but it could have been written as many as seven years later. Taken together, and considering the narrative of 1:11-2:21 overall, the ideas are complementary: this Jesus, Who revealed Himself personally (#3) to Saul on the road to Damascus, also revealed (#2) a kind of good news, being simultaneously the Source (#2) and Possessor (#1) of that good news Himself. This complementary overlap does not necessarily dictate one meaning over the other in 1:12, but the three revelation references do strongly suggest Paul’s sense and personal experience of Jesus. I have also been thinking about related reference(s) to Paul’s eyes and will take that up in a future post. A serendipitous aside: the phrase found in Gal 1:12 closely resembles the title of the “book” of Revelation. That document, although famously symbolic, was not penned to make anything seem mysterious. After all, a revelation reveals something, as opposed to concealing it! And I can well imagine that Paul felt Jesus was anything but concealed during and after that personal encounter on the dusty road to Damascus. Jesus was revealed to him, and that revelation was the basis of the gospel for which Paul lived afterward. ¹I am not asserting that these three rhetorically/conceptually related texts are the only ones to be considered in this regard. AMP | I received it through a [direct] revelation of Jesus Christ. ASV 1901 | it came to me through revelation of Jesus Christ. AV | by the revelation of Jesus Christ. CEB | I It came through a revelation from Jesus Christ. CJB | it came through a direct revelation from Yeshua the Messiah. CSB | it came by a revelation of Jesus Christ. DLNT | I received it through a revelation of Jesus Christ. ESV | I received it through a revelation of Jesus Christ. EXV | ·Jesus Christ showed it to me [L by a revelation of/from/about Jesus Christ; Acts 9]. GW | I didn’t receive it from any person. I wasn’t taught it, but Jesus Christ revealed it to me. HNV | it came to me through revelation of Yeshua the Messiah. ICB | Jesus Christ showed it to me. ISV | it was revealed to me by Jesus the Messiah. LB | For my message comes from no less a person than Jesus Christ himself, who told me what to say. LEB | I received it through a revelation of Jesus Christ. MEV | neither was I taught it, except by a revelation of Jesus Christ. MSG | I got it straight from God, received the Message directly from Jesus Christ. NASB95 | I received it through a revelation of Jesus Christ. NCV | Jesus Christ showed it to me. NIrV | Instead, I received it from Jesus Christ. He showed it to me. NIV | I received it by revelation from Jesus Christ. NIV84 | I received it by revelation from Jesus Christ. NJB | it came to me through a revelation of Jesus Christ. NLT | Instead, I received it by direct revelation from Jesus Christ. NRSV | I received it through a revelation of Jesus Christ. RSV | it came through a revelation of Jesus Christ. VOICE | I was gifted with this message as Jesus the Anointed revealed Himself miraculously to me. WE | it was Jesus Christ who showed it to me. WEB | it came to me through revelation of Jesus Christ. For am I now seeking the approval of man, or of God? Next, below is the transliterated Greek text. For the non-Greek-reading followers (probably 94% of you), all you need to do is notice the similar spellings, and maybe the Theon and Christou (God and Christ) in the first and fourth lines, respectively. arti gar anthropous peitho ē ton Theon? Now for to man do I appeal or to God? or do I seek man to please? of Christ a slave not I would (myself) be being. I have intentionally indented lines two and three not because Paul would have laid it out that way with his own hand, but because the wordings and syntax suggest that layout. We may without question assert that Paul is saying something with gusto here. Arguably, the entire introductory text (1:6-10) includes and predicts the substance of the letter as a whole, and the specific content of v. 10 certainly serves Paul’s aims and emphases. Clues to his emphatic passion include (1) the initial, emphatic placement of the word for “now,” (2) the repetitions, and (3) the switch from the present to the imperfect tense. I have some question about the precise import of the imperfects, so I have the word “actively” in parentheses. I also acknowledge the awkward “be being” at the end (but stay with me to the end here). The final line amounts to a very strong, culminating emphasis. Perhaps that phrase would have struck the early hearers something like the “punchline” of threefold question-and-answer with Peter in the courtyard after Jesus’ arrest—or perhaps the “Simon, do you love me” sequence of John 21, in which the third question uses a different word. It seems to me that, in any language, repeating something two or three times and following it with something else sets up an emphasis on the last item. Paul’s “still” or “yet” in v. 10 could perhaps refer to a hypothetical time in the mind of his audience when they thought was seeking people’s approval. Given the literary context here (at least chapter 1 and possibly into chapter 2), the scenario described by Deffinbaugh above seems more likely. So . . . at this juncture, who do I appear to put my trust in or seek the approval of—people or God? Seriously! Do you really think I’m attempting to please people at this point? If I were still seeking the approval of people (as I admit was the case before my conversion), then I would not be actively serving Christ. That’s smoother than the exact-word-order version, for sure, but I consider it a work in progress. Do you think I’ve translated the meaning reasonably well? Does this passage aid your understanding of Paul and early Christianity? Is there any impact on your view of your own discipleship? Tell me what you think. 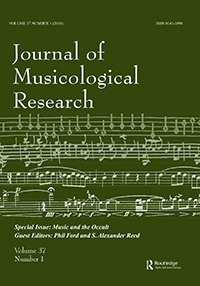 As an undergraduate, I had no appreciation for music history at all, and one of my two music history courses was the only music class for which I ever earned a B. On the master’s level, I wasn’t taught much in this area. At UNC, though, during my doctoral studies, Bellman and Kauffman led me down paths of historical connection and insight, bringing alive for me so much more than the progression from one “style period” to another. Presently, Kauffman is Editor-in-Chief of the journal shown here, and Bellman is on its editorial board as well. Both of them honed my writing skills. I seized on several opportunities in their content areas, going beyond my curricular requirements and almost earning enough credits for a minor in music history. Historical fiction is about the only kind of fiction to which I gravitate. Even in my video entertainment choices, I like things that are, or at least could be, real. In recent months I’ve read Blue Star and The Blue Orchard. In case you wondered, neither has anything to do with the color blue (or much to do with stars or orchards, either). These books were engaging and instructive—the former, about persons in an Appalachian town during the build-up to WWII; the latter, about an abortion doctor and his nurse in Central Pennsylvania during the same time period (expanded a bit). Both were authored by individuals with academic credentials, and their abilities with language and with storytelling kept me reading. Read my brief reviews of these books here. I think my wife started me down this path; we enjoy certain historical documentaries together, and she reads historical fiction, too. 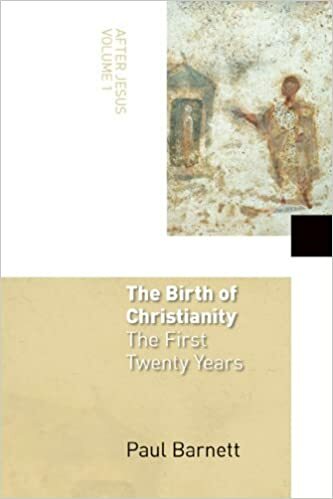 Although I’d say I’ve always been interested in first-century Christianity, I began to pursue it with more energy after reading Paul R. Barnett’s The Birth of Christianity: The First Twenty Years. The two decades that began in approximately 33 CE constitute a period exceedingly worthy of our reach to comprehend—from both intellectual and pragmatic standpoints. Barnett’s book laid groundwork for me in clearly presenting, e.g., these facts: (1) Saul was blinded and converted on the Damascus Road within months of Jesus’ crucifixion, and (2) not more than two decades transpired between those events and when the first extant Christian writings were penned. It must not go without mention that engagement with the years leading up to the time of Jesus and the apostles is also important. I have barely begun to scratch the surface of understanding the Abrahamic and Mosaic covenants, the Davidic and later-divided kingdoms, and the impact on the “culture” of the people of God that resulted from the captivities in Egypt, Assyria, and Babylon. 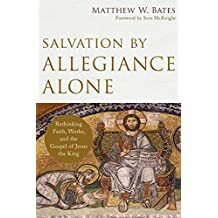 Neither may the influence of Greek culture or the Roman Empire be rightly discounted when seeking to understand Jesus’ message, the early disciples, and the teachings of Matthew, Paul, and other other writers. Some feel that their denominations’ takes on things are as important as what happened at the beginning. The logic tends to go something like this: God and truth are pursued within the faith-community, so ecclesiological structures such as the Southern Baptist Convention, the Missouri Synod, or the Vatican are repositories of authoritative truth today. I demur. Although I support the notion of “faith community,” in the later years far removed from the first century, I find more reason for scrutiny, suspicion, and distance than for support of church conclusions and directions. If we understood the cultural-historical setting at the time of Jesus of Nazareth, we would understand and apply the period texts better in our faith communities and personal lives. The backdrop unfurled above quickly became too lengthy. Rather than making this a serial blogposting, I think I will just make a couple of relatively brief observations with historical implications and then invite comments. Baseball commentators these days are fond of delineating between pitchers and “position players.” Maybe I only paid selective attention to news media and commentators in my youth, but I don’t remember ever hearing the term “position player” back then. (For the uninitiated, “position player” refers categorically to a group of field positions including shortstop, center field, and every position other than pitcher [which is also a position, I would point out].) The professional game of baseball is these days much more focused on pitchers: witness all the talk about pitch count and the speeds of their fastballs. My historical hunch is that the category “position player” has developed along with the professional game of baseball. Whether or not I missed the sporadic use of this term in my early years, I would probably stake my (lack of!) historian’s reputation on the assertion that the usage of the term has increased exponentially since the 1990s. Notably, Paul used the term “Judaism” twice in the first chapter of Galatians.¹ These days, depending on who is using the word, and in what setting, “Judaism” might have multiple referents. I pick up that scholars primarily use the word to refer to the faith-system of the people of the Tanakh (Old Testament) as it developed from the 2nd-Temple Period onward, i.e., after the return from Babylon.² “Judaism” might be further delineated with respect to the downfall of Jerusalem in 66-74 CE, and/or the rabbinic period which saw the rise of the Talmud, or other developments. My historical hunch is that “Judaism,” as the term is used by Paul, has more to do with the faith-system and rituals of the 2nd Temple period than with faith in the God of (all) the scriptures. I find that the term “Judaism” is best thought of as referring to the Hebrew/Jewish faith-system that (has) existed during one or more time periods after 586 BCE. Paul did not denigrate genuine faith in the God of the Old Testament. Paul employed a unique or at least patently uncommon noun: Judaism. He appears to refer, at best neutrally, to a system of faith-related rituals and practices; in doing so, he distinguishes 2nd-Temple Judaistic practice from genuine, post-resurrection faith in God and in Jesus Christ. The specification of positions on the baseball diamond is obviously not a big deal, but in the case of “Judaism,” it well serves serious students of Christianity to think about historical development and the implications of Paul’s term Ἰουδαϊσμῷ | ioudaismo, opposite how the term “Judaism” is used today. Please share comments, questions, and observations. ¹ There are no other instances of this exact word in all the NT (or the Greek OT, for that matter). ² There are ethnic and political implications of such terms as “Judaism,” and “Jewish,” but I’m intentionally confining my observation here. I would suggest it is probably not a coincidence that the earliest events in (a chronologue of Paul’s life) are spoken of in Galatians almost without exception, and the next earliest in 1 Thessalonians. Paul’s letters are topical and tend to refer to events of the recent past. All other things being equal, this point rather strongly to the earliness of Galatians as well as the earliness of 1 Thessalonians. I can count on the fingers of one hand (with two or three fingers cut off) the number of known atheistic (as opposed to agnostic) readers of my blog. Ever. If by chance today is the day that an atheist pops in here, I want to stress the historicity being referred to by Witherington, a top-shelf scholar. More significantly here, I suppose: any believer who wants to rest in the fluffy comfort of a “personal” faith without knowledge ought at least to pay attention periodically to some of the historicity upon which a rational, real faith can rest. There are always matters and concepts to “accept by faith,” but some of us do relish the use of our left brains in the faith realm.